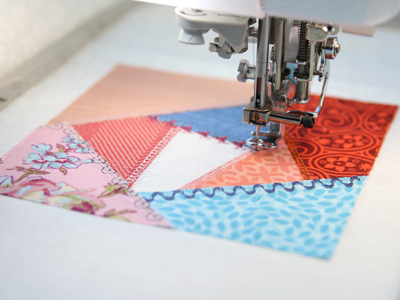 Classic Victorian crazy quilting gets a modern update with machine embroidery! 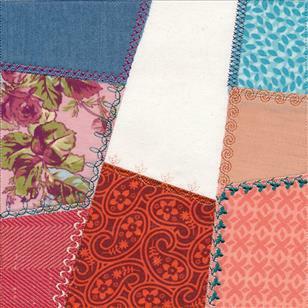 These instructions demonstrate how to stitch crazy patchwork using an in-the-hoop crazy quilt block design. 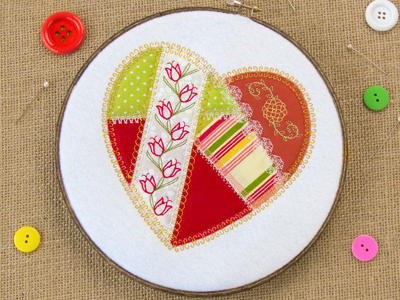 The applique crazy patchwork heart doesn't have a square cutting line like the quilt blocks, but the crazy patchwork stitches in the same way. Follow along and we'll show you how! 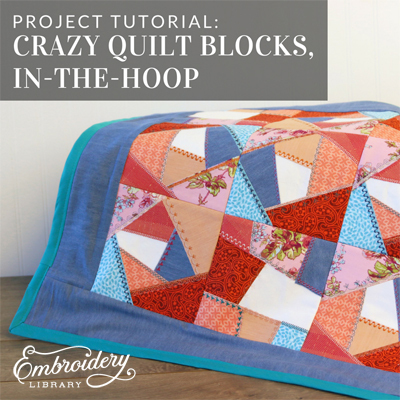 These in-the-hoop crazy quilt blocks are assembled with seven pieces of fabric (for the patchwork pieces) and one piece of hooped fabric. They are assembled piece by piece with the fabric pieces laid right side up. 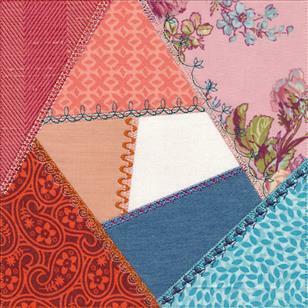 They are not assembled as stitch and flip quilt blocks that have traditional seams. 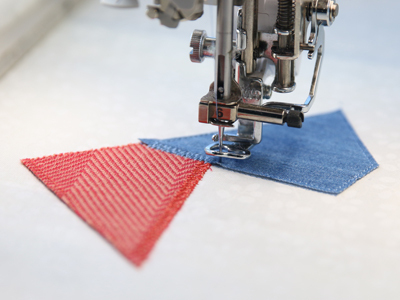 The fabric pieces overlap slightly, and each piece is tacked down with a running stitch and zigzag stitch and then finished with a decorative stitch. 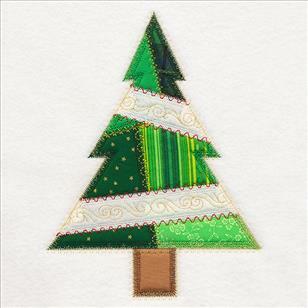 When you download an in-the-hoop crazy quilt block design you will see three files - two of the files are the embroidery files (the full embroidery file and the dieline files) and one printable nine patch planning sheet (this file ends in .PDF). Print the dieline files - these are the files with "DL" - at full size using embroidery software. 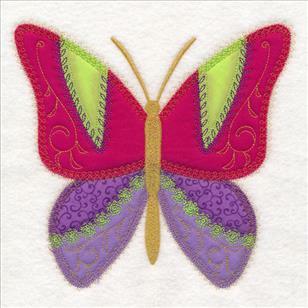 If you do not have embroidery software, Wilcom Truesizer is a program you can download to print the templates. 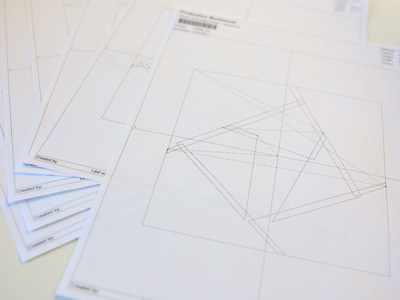 There are seven pieces of fabric in each block, so print seven copies of the dieline files. 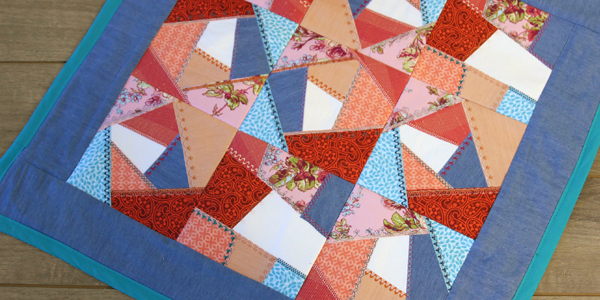 The fabric pieces of the crazy quilt blocks overlap, so that means the dielines on the printout overlap too. 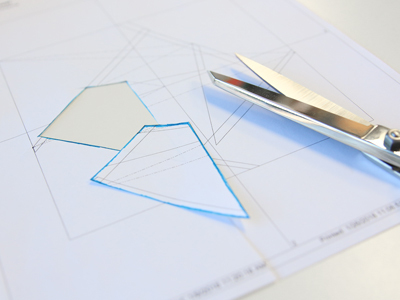 Since the pieces overlap, the dielines will need to be cut along the outer lines of the shapes (the first piece of this block is outlined in blue). 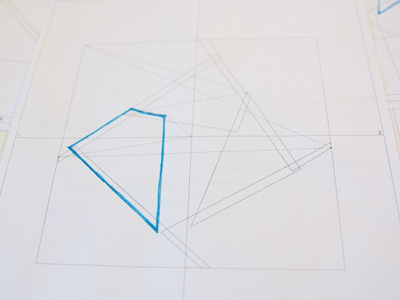 Cut around shapes around the outer lines (as shown). After cutting each piece, reference the photo of the finished quilt block (this image is on the website and also on the color change sheet). 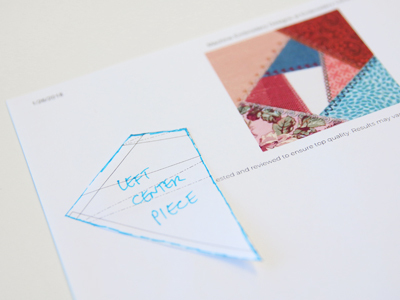 Match the shape to the finished quilt block and label each piece. This will help to keep the pieces organized. Also, reference the color change sheet to see the order the pieces go down and what we named each piece. After each dieline is cut and labeled, it's time to cut the fabric pieces. 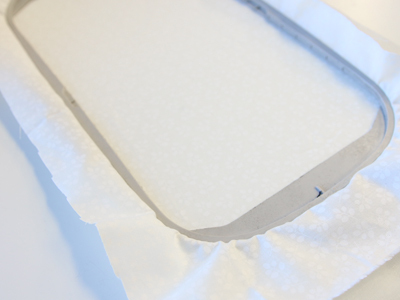 Spray the backside of the paper with a bit of temporary spray adhesive and smooth it onto the fabric. Then, cut out the shapes but do not remove the paper. 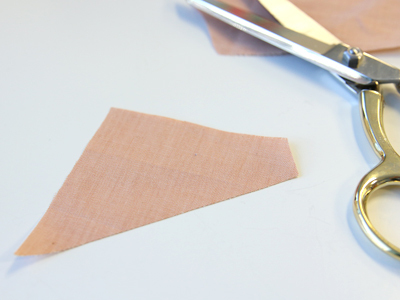 Another option instead using spray adhesive (to add the fabric pieces to the block) is to add one piece of double sided fusible web to the fabric before cutting out the shapes. Add the fabric to the fusible web and press it with an iron. Follow the instructions on the fusible web packaging. 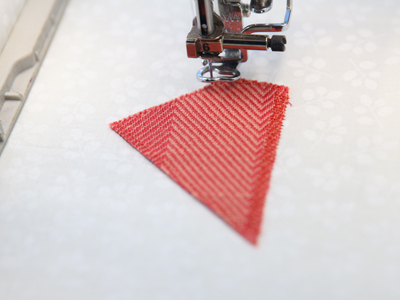 Another option for cutting out the fabric pieces is to stitch the dieline file directly onto fabric. 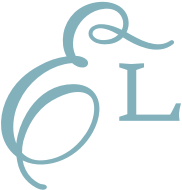 Load the dieline file into your machine (that's the file that ends in "DL"). Hoop the fabric and stitch the dieline directly onto the fabric. Also, see our video on using dielines. Then, unhoop the fabric and cut out the shape. Next, hoop a piece of fabric with one piece of sheer mesh cutaway stabilizer. 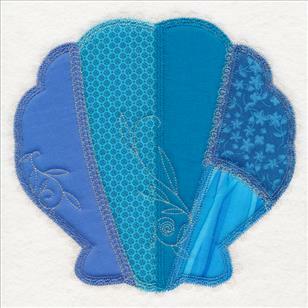 Sheer mesh cutaway stabilizer works great with in-the-hoop quilt blocks because it keeps the blocks nice and light. Please note that the hooped fabric will show through as one of the finished pieces. Load the full embroidery file into the machine. 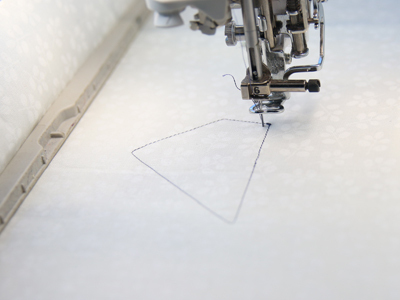 Attach the hoop to the machine and embroider the design - the first dieline will sew. 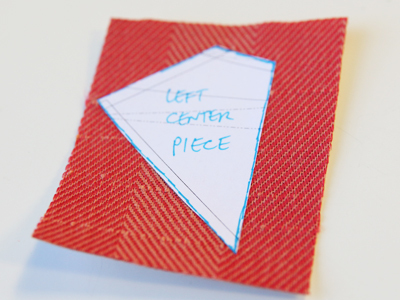 After the dieline has sewn, remove the hoop from the machine, but do not unhoop the fabric. 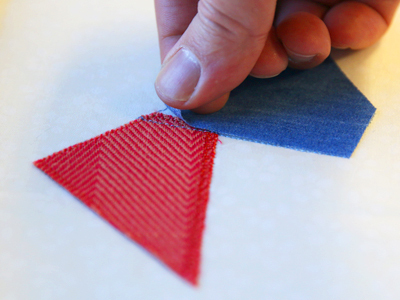 Spray the backside of the fabric with adhesive, remove the paper, and place the fabric piece right inside the dieline shape. If you are using fusible web, remove the paper from the backside of the fabric piece and press the fabric in place (no need for adhesive). Press the fabric in place. Attach the hoop back onto the machine and match the top thread to the fabric piece color. 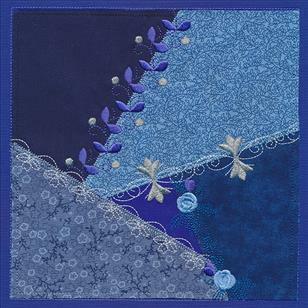 Continue embroidering the design - a tackdown stitch will sew next, this binds the fabric piece to the bottom fabric. 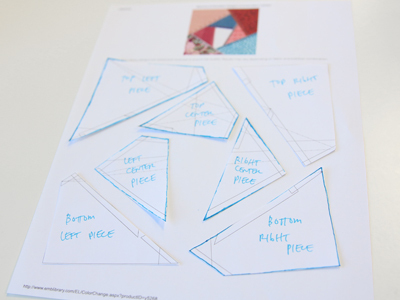 Follow along on the color change sheet as you sew. The dieline for the next fabric piece will sew next. 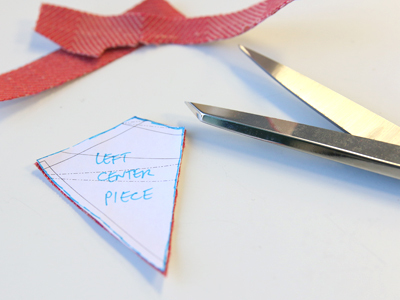 Since the fabric pieces overlap slightly part of the dieline will sew over the previous piece. After each dieline sews, remove the hoop from the machine (but do not unhoop the fabric), add the fabric piece (remember, the fabric pieces will overlap slightly). Attach the hoop back onto the machine, and continue with the design - the tackdown for the second fabric piece will sew next. 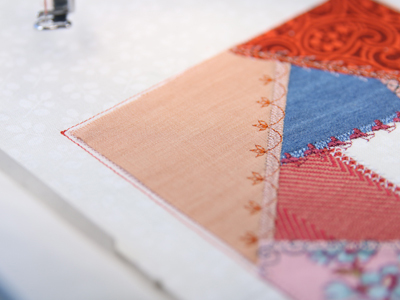 Match the color of the top thread with each fabric piece as you sew. Continue adding the fabric pieces. When the all of the fabric pieces have been added, decorative stitches will sew along the inner edges of each fabric piece. Then, a cutting line will sew last. This line will be used to cut the quilt block. This line will sew just a bit outside of the outer edges of the fabric pieces. When the block has finished, unhoop the fabric and place it onto a cutting mat. 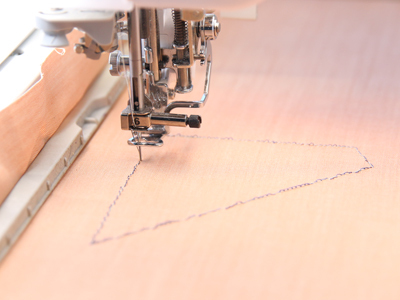 Using a quilting ruler and rotary cutter, cut right along the sewn cutting lines of the block. And your block is complete! 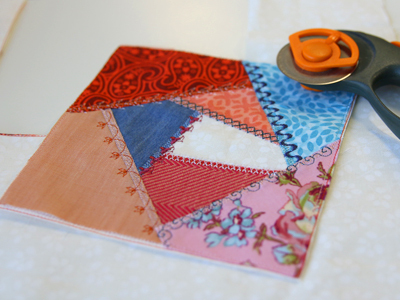 Use these blocks to make quilts, pillows, placemats, wall hangings, and more! Print the planning sheet (the files ending in .PDF) and use colored pencils to plan your project! 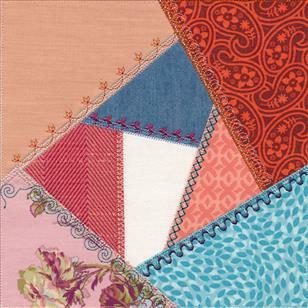 Using different fabric prints, colors, textured fabrics, and thread color, the possibilities are endless! 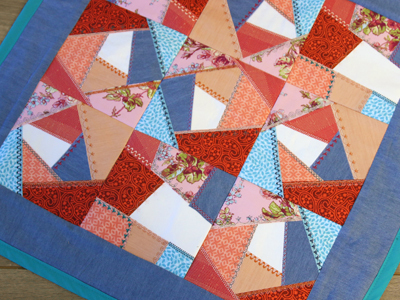 I made a mini lap quilt using the in-the-hoop crazy quilt blocks. Click here for the instructions. 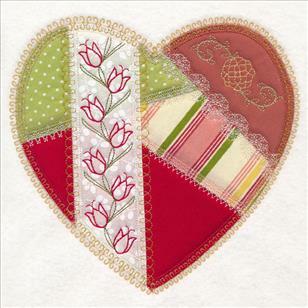 This applique heart design stitches in the same way, but without the square cutting line of the quilt blocks. 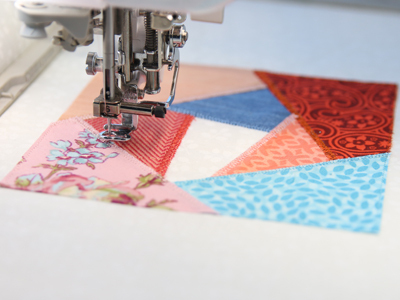 Fall in love with crazy quilting! 7.80" x 7.79" | 6.90" x 6.89" | 5.90" x 5.89" | 4.90" x 4.89" | 3.90" x 3.89"
7.80" x 7.81" | 6.89" x 6.90" | 5.89" x 5.90" | 4.90" x 4.90" | 3.89" x 3.90"
7.79" x 7.78" | 6.90" x 6.88" | 5.90" x 5.87" | 4.90" x 4.86" | 3.90" x 3.85"
7.79" x 7.38" | 6.82" x 6.45" | 6.17" x 5.84" | 5.13" x 4.84" | 3.85" x 3.61"
7.25" x 6.88" | 6.17" x 5.85" | 5.14" x 4.88" | 3.89" x 3.69"
7.78" x 7.50" | 7.00" x 6.75" | 6.07" x 5.85" | 5.04" x 4.86" | 3.84" x 3.71"
6.88" x 9.13" | 5.85" x 7.77" | 4.85" x 6.44"